Margaret Alice Abbott Martinez, better known as "Saint Peg", left this world on January 21st, 2019 surrounded by loving members of her family and by many compassionate thoughts and prayers by those who could not be present by her side. She was born in Tooele, October 18th, 1931 to Joseph and Katherine McCoy Abbott at her parents home on West Vine Street. She was the youngest of five children. She graduated from Tooele High School with the class of 1949. She married Fred Martinez on August 22nd, 1953 and celebrated 65 years of marriage in 2018. They lived briefly in Edgemont Living Quarters in Tooele before moving back to Peggy's safe haven, her cherished home on Vine Street. She remained there for over 87 years, it was her dream to never move away again, to raise her seven children there and to welcome all their friends and later their extended families with open arms. It's amazing to think how many kids entered the doors of her little house on West Vine Street and the stories they still share today, that is the power of love. 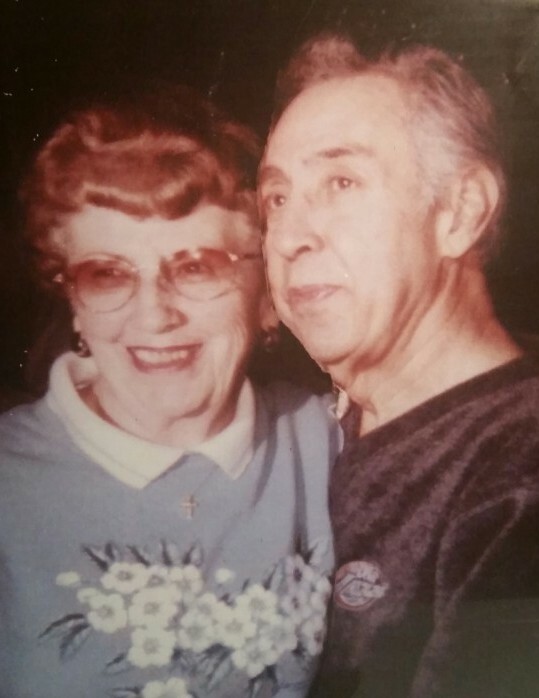 Fred, her lifelong spouse, just recently passed away on January 7th of this year, his death contributed greatly to her health decline, thankfully, Peggy's lessons of hope and faith taught her family that their reunion will be glorious in the Kingdom of Heaven. Peggy was truly a living saint, she expelled this aura of unconditional kindness and compassion to all who came in contact with her. She never sought after material possessions or anything fancy, she was extremely humble and full of divine joy, she only wanted what was best for you. She was a devout Catholic and dedicated an extreme amount of her life to the church. 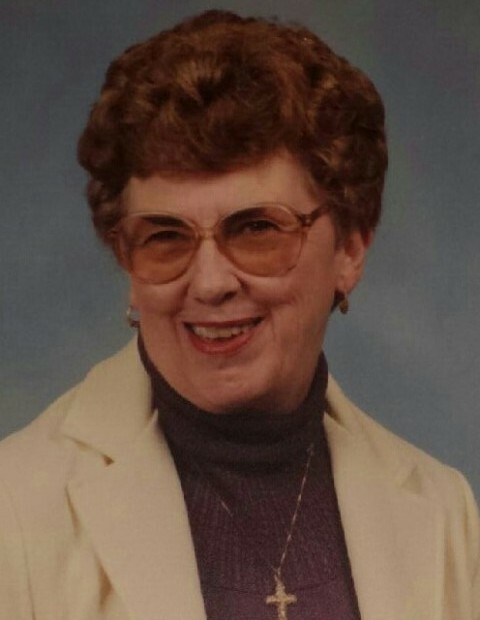 She taught Catechism for over 20 years, was the organist at many Masses, weddings, and funerals and retired from the church after several years of secretarial work. She received the Parish's Catholic Woman of the Year Award in 1979 and received an honored Apostolic Blessing signed by Pope John Paul II. God came first in her life, which led to her being the most beautiful Wife and Mother any child could ask for. Her family will miss her greatly! Peggy is survived by six sons and one daughter, Fred (Terri), Kenney (Sylvia), Joey, Paul, Diane McArthur (Matt), Victor, Jeffrey (Amber); fourteen grandchildren, two step-grandchildren, seventeen great-grandchildren, two step great-grandchildren and many nieces and nephews. She was preceded in passing by her parents, husband, brother David, sisters Mary, Patricia and Josephine. She also lost 3 incredible grandchildren: Brooks and Eric Martinez and Patricia McArthur. The Holy Sacrifice of her Funeral Mass will be Saturday, January 26th at 11:00 am. Viewing will take place the evening before, Friday, January 25th beginning at 6:00 pm, the Holy Rosary will be recited at 7:30 pm. Both will take place at Saint Marguerite Catholic Church. Peggy and Fred's remains will be buried together in Tooele City's Cemetery after the funeral. Luncheon to follow at the church. In lieu of flowers, please make a donation to Saint Marguerite Catholic School in Peggy's name.